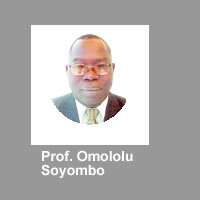 I had a wonderful and fulfilling experience at the University of Essex during the period of my Ph.D. (Sociology) degree programme (1988 to 1991). The purpose of my going abroad for study was fulfilled in every sense, as I not only completed and obtained the Ph.D. degree of the University, but also had the opportunity of studying in and experiencing the academic system of a world-class university. I returned to Nigeria with a good understanding of how the academic system should work. The mentorship by my main supervisor (Ken Plummer) has remained indelible since my stay in Essex, and I try to put the experience into practice with my supervisees from time-to-time. At Essex, I was exposed to a student-focused and student-friendly academic system. There are quite a number of things for which I still use the University of Essex as a reference point/model of what and how things should be done. The egalitarian system I was exposed to in Essex is also worthy of note – common toilets, common cafeteria, common bars, etc. for staff and students. This is yet to be achieved in our university system in Nigeria. Coming to Essex was my first trip outside Nigeria and away from familiar people and environment. However, I must say that the students’ office in the University then helped the quick settlement and integration of foreign students through various organized tours and invitations by social associations. I cannot also forget my stay in Eddington Flat 7, Room 2 (1988 to 1989) and my good flatmates, although there was the initial cultural shock in terms of social interaction and greeting. Coming from a cultural background in which greeting is a common feature (people greet at all times and several times in a day), it was shocking greeting some people without a response or acknowledgment! Initially, I thought people were being unfriendly, but I later got to understand it was just a matter of cultural difference, as interaction with them at other levels showed that they were quite friendly, accommodating and cooperative. The staff (teaching and non-teaching staff of the Department of Sociology were wonderful, with the administrative staff demonstrating a very commendable level of administrative efficiency for the smooth running of the Department. Finally, is the wonderful experience I had with my supervisors (Professor (then Dr.) Ken Plummer – my main supervisor, and then Dr. Anthony Woodiwiss (my second supervisor). In this regard, I must also mention the initial cultural shock in my interaction with Ken Plummer, who encouraged and prodded me to simply call him “Ken” instead of formally addressing him as “Dr. Plummer”. This was not very easy initially, especially coming from a hierarchically structured cultural background. However, this surely helped to enhance the establishment of a good relationship with him and others in the Department. It is therefore a great pleasure to formally express appreciation to the University of Essex for the remarkable experience I had in the University and to join others in congratulating the University on the celebration of its golden jubilee anniversary of remarkable educational service. After a History degree at Exeter and a PGCE in London I taught in a secondary school. During the PGCE I enjoyed the Sociology of Education and found Education and the Working-Class by Jackson and Marsden (1962) particularly illuminating. I had no idea that I would be taught by Dennis Marsden, would work with him at Essex and become a close friend. Sadly he died in 2009 after a long illness but I was able to visit him and Jean (Duncombe) a number of times in his last years. At a memorial symposium at Essex on his work colleagues referred to this book as graphically illustrating their mobility through education laced with class ambivalence – which was also my experience. One day at school I saw an advertisement in The Times Educational Supplement for a Master’s in Sociology at Essex, applied and was accepted in 1965. The university was brand new and the student population tiny – my year was the second cohort – and the campus buildings were under construction. Almost none of the students had a background in Sociology and neither had many of the staff. There was an emphasis on Social Policy given that Peter Townsend was the founding father and he recruited people, including Adrian Sinfield and Dennis Marsden, with a Fabian engagement with class and social problems. Classes were small and the teaching mostly engaging although Parsonian functionalism didn`t much appeal to me: we had no idea that Geoffrey Hawthorn was new at the game and was struggling with his burden of teaching (as he explains in an interview). My focus was on the Sociology of Education and my thesis was on boarding schools. On graduation I started a PhD at Cambridge on that topic but for various reasons transferred back to Essex where I had an exemplary supervisor in Geoffrey Hawthorn. In 1970 I was offered a lectureship and taught several courses including the Sociology of Education with Dennis. Then in 1975 I moved to The Netherlands, initially for a few years but my stay has become permanent. My wife Corry is Dutch and I had spent a sabbatical period at the University of Amsterdam in 1973: the contacts made then led later to an offer to teach in the University of Utrecht. Looking back I would say that Essex was remarkable in that it attracted staff from all sorts of backgrounds and disciplines but, given that many of them were gifted and productive, it soon became a leading Sociology department not only in the UK but also in Europe. In those early years there was Peter Townsend, David Lockwood, Mary McIntosh (from 1975), Alan Ryan, Peter Abel, George Kolankiewicz, Dennis Marsden, Geoffrey Hawthorn, David Lane, Adrian Sinfield, Colin Bell, Michael Mann, Joan Busfield, Ted Benton, Paul Thompson and Alistair McIntyre (some of whom have passed away). It was largely a man`s world but the gender imbalance started to be rectified from then on. There was little academic ritual, a low sense of hierarchy and the general atmosphere was one of trendy newness. At the same time there was a strong culture of stimulating and rewarding research and publications but without the performance pressures of recent years in UK universities. This was a golden age of individual freedom and few administrative burdens: most people set their own agendas and could, unhindered, use the summer vacation and sabbaticals for research and writing. Predatory publishers stalked the corridors forcing contracts and advances on us. Given the smallness and newness and that quite a few staff lived in Wivenhoe with young families, there were generally amicable relationships and frequent socializing – including on the Wivenhoe quayside on Sunday afternoon. We also played cricket, football and squash and on Saturdays some of us went with to watch football at Ipswich. For me it was a busy time of starting a family, preparing classes and trying to get something published. The philosophy of the university was innovative – with few of the trappings of the traditional universities – as the Vice-Chancellor boldly proclaimed in the BBC Reith Lectures (Sloman: 1963). Unfortunately its foundation coincided with student radicalism and Essex attracted certain students – some now peers of the realm – who unsettled the benign culture with demonstrations, intimidation of staff, rent-strikes and sit-ins. There were problems with drug use, theft, damage to property and guest speakers being shouted down. Students occupied the administration building with access to confidential staff and student files and to the keys of the offices: rooms were entered, there was some pilfering (including of research data) and all the locks had to be changed. Later conservative politicians and newspapers called for Essex to be closed down. So those were interesting times with never a dull day. Particularly disturbing for a university were student “strikes” with the barricading of lecture theatres to prevent students attending classes. On one occasion a student resolutely climbed over a barrier and found he was alone with Alistair McIntyre. Both agreed they wouldn`t allow intimidation to restrict their freedom and McIntyre gave him a private master-class on Philosophy. 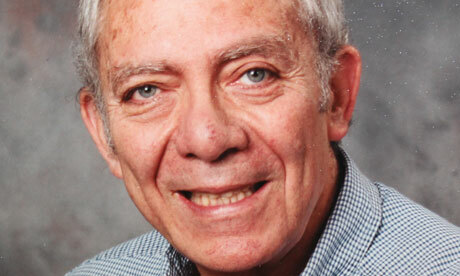 The student was Geoffrey Markham who was one of the Essex police officers studying full-time. Sending officers to university for three years was a considerable investment at that time but Essex was a forward looking force. The scheme continued for some years, became part-time and was later supervised by Maggy Lee. I became friendly with some of these officers and this began to shift my research interest to policing. Years later together with Maggy I interviewed some of them and invariably the experience of studying enhanced their professionalism and their career (Lee and Punch: 2005). Indeed, Markham maintains that the degree has been crucial throughout his career and to his performance as a highly-regarded officer who reached high rank. Most of the police graduates stayed in the force and did well. 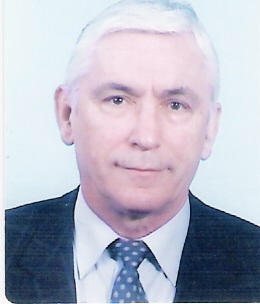 For instance, Ralph Crawshaw studied Politics and returned to the university after retirement, took a Masters in Human Rights Law and has become an authority in the field. He writes of how stimulating it was to be taught by Ivor Crewe, Mike Freeman and Ian Budge and that the “whole experience was quite transforming”. It helped him do some things differently in the police service as he`d been made aware of the power of the state and abuse of that power. This led him directly to human rights and after graduating he decided that he would go back to the university once he`d reached pensionable age “primarily because the whole process had been so stimulating and rewarding”. Clearly attending university was of great value to him and others. I`m plainly biased – both Geoffrey and Ralph have been instrumental in helping me with my police research and publications and we have remained friends ever since – but I believe the scheme was positive for both the Essex Police and the university. And it should be acknowledged in the institutional memory. But in the radical early 1970s there was deep suspicion of the police presence on campus. For example, at one stage after several weeks of students blocking access to the campus, the police moved in and arrested over a 100 students. The police were led by one of the Essex graduates. Then disinformation appeared in the press that the officer had been planted in the university and had not honestly attained his first-class degree. This was typical of the antagonism to the police in general at that time, some of which rubbed off on me. Moreover, what actually happened when the blockade was broken has become distorted with memory: for a previous contributor to this site wrote – perhaps on hearsay – that, during the stand-off between students and the police at the blockade, Peter Townsend interceded and calmed matters down. That is not quite what happened. The students had been blocking access to the campus for weeks and eventually an Assistant Chief Constable met with the VC and others and firmly informed them that, although this was private property, it was intolerable that illegal conduct was restricting people`s freedom and the police would have to intervene. I`m sure Peter did his utmost to resolve the situation and avoid confrontation but, with fuel and supplies running short, the decision had already been taken. When the police contingent arrived Sociology staff inserted themselves between the police and students as a kind of deescalating buffer. But Howard Becker was giving a staff seminar that afternoon and suddenly nearly all the staff disappeared except for me. The students refused to give way, the police moved in and made the arrests when there was any resistance: after some scuffling it was soon over. There was, then, a downside to that first decade at Essex but it was also an exciting period of innovative research and impressive productivity. Furthermore, it was typical of the eclecticism that there was the social historian Paul Thompson pioneering oral history and organizing fascinating field-trips; Stan Cohen enthusiastically promoting the Sociology of Deviance; and Colin Bell and Howard Newby reinventing Agricultural Sociology. However, the rather idyllic early years of pioneering and amicable solidarity started to wane as people of different academic and theoretical plumage joined the faculty and there were hefty doctrinal disputes that diminished the emphasis on Social Policy. For several reasons I felt that I had to spread my wings. There were frustrations as I was low in the pecking order, would remain second to Dennis if I stayed in the education field (and he spent the rest of his career at Essex) and I was experiencing difficulties with the sponsors of my PhD research on former pupils of Dartington Hall School. The Trustees of the “progressive” Dartington enterprise endeavoured to restrict access to my PhD – Peter Townsend flatly refused to countenance that – and prevent publication of my findings (cf Punch: 1979, 1986). But I badly needed a publication and wrote an article for the BJS without asking their permission which led to irate missives from Devon but fortunately, after some grovelling, they were not followed by a writ. So when an application to the Home Office for police research was turned down I decided to move abroad, originally for a short period. But I look back at that period in Essex as one of remarkably productive achievement in innovative and quality scholarship: and which in a very short period of time, and reinforced by later cohorts of talented academics, developed a leading department of Sociology. There were equally strong faculties of Politics, Economics and Law – with a leading Human Rights Centre – that could muster their own line-up of star performers. Finally, the Essex I left in 1975 was still small with predominantly British staff and students, while Colchester was a dull, grey garrison town. Thanks to the internet a Brazilian student of the time (Julio Grieco) contacted me recently and wrote about how cold the place was and how awful the food. The architecture of Mediterranean palazzos was certainly not geared to North Sea gales and the cuisine served in Wivenhoe House was of Fawlty Towers quality. Then through meeting Nigel South at a conference over a decade ago I began teaching again at Essex but in the Law School with Jim Gobert. I was amazed that there were people around from way back. Mary Girling was still the Secretary in Sociology and the old squash-ladder lay in a corner. But Colchester had gone through a major make-over. And the university had expanded considerably, the resources and infrastructure (including for languages and for sport) had improved immensely, there was a rich cosmopolitan diversity of students and faculty, vibrant summer schools were taking place, new departments had arisen and Sociology was scoring high on the RAE. And although the northerly wind could still howl across the squares the catering had progressed greatly, at least by British standards. I remember that starting a degree in the sociology department as a mature student filled me with a mixture of dread and excitement. A constant buzz of adrenalin that I had been given permission to stop the day job and study. An underlying fear that I would not ‘make the grade’. And while the memory of those early days is fading, the emotions the change in my life provoked remain. 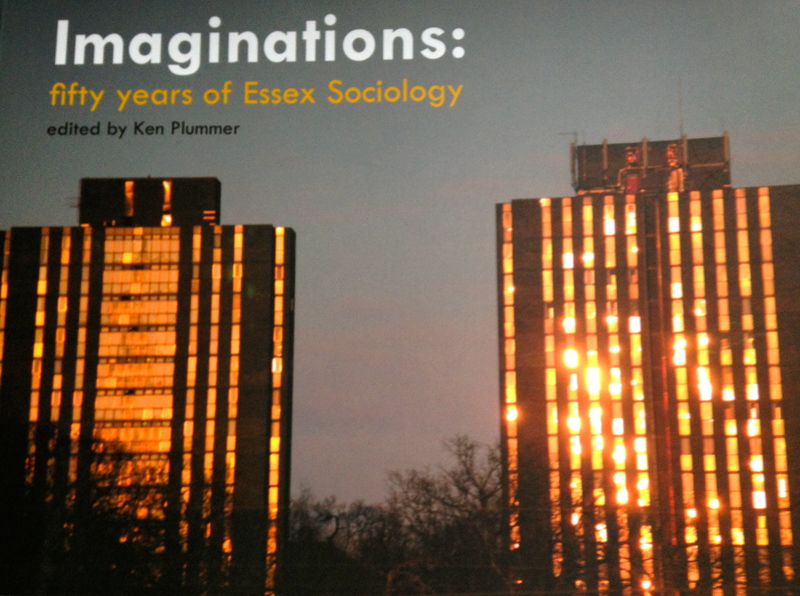 The sociology department at Essex has dominated my working life since the early 1990s – it has been exciting; it has been stimulating and it has been challenging; what more could you ask? Barbara Hudson, a much loved graduate student in the department in the late 1970’s and 1980’s, has died unexpectedly. Ken Plummer recalls her as a truly lively and engaged student who loved Gadamer and Criminology! She added hugely to the life of the department during her time here, was a much loved teacher, and a lively stalwart of the Labour Party. 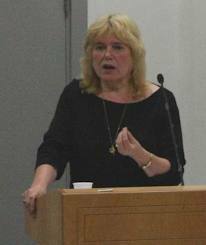 She returned to give a 40th anniversary lecture in the department ten years ago, by which time she was Professor of Criminology. “I am now retired and have that strange Emeritus Professor status. Still doing a bit of writing and a few lectures. I’ve had a wonderful experience of spending a month or so in Brazil every year for seven years, working with the Ministerio Publico in the state of Parana, and doing some teaching on a Masters course in law and human rights. And I’ve also been involved in a research project with Oslo, which seems to be carrying forward the critical criminology of Nils and Thomas. Apart from this, I’m growing roses and doing water colour paintings. I’ve been very happily living with Harry since 1985, which seems a miracle given the ups and downs of my time in Colchester”. It is with great sadness that we learnt of Barbara’s sudden death on Monday September 9th. For over three decades she has been at the forefront of shaping debates in and around the sociology of punishment. 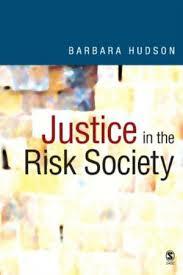 At the core of her work is a deep and abiding interest in social justice, and her more recent work remained committed to challenging inequalities by focussing on the construction of difference, the criminalisation of migration and the questions posed by security since 9/11. I am very sad to inform you that on Monday afternoon (9th September) Barbara Hudson died suddenly whilst on holiday in Greece. Barbara was not only an enormous influence and inspiration for members of the European Group over the last three decades but also a close personal friend to many. Her untimely death has come as a terrible shock and her family have asked for privacy for the next few days. I realise that many people will want to send their condolences and also wish to know about funeral arrangements. The European Group want to commemorate Barbara in accordance with the wishes of her family and so we will send you further details regarding how members can send condolences in the coming days. Barbara was a wonderful person who possessed not only a remarkable intellect but also a wonderful sense of compassion and understanding for others. She will be greatly missed by very many people. When Ken Plummer invited me to contribute to this site my first thought was to describe my somewhat accidental journey into sociology, and to a lesser extent, into academia. Then I read Toby Miller’s account of his academic career in The Times Higher. Like. David Bouchier’s contribution to this site, it made me think that perhaps the unplanned and the accidental may actually be rather common. Maybe we should look for people who have a straightforward path into sociology! Indeed, the Sociology department at the Open University where I have worked since 2000 contains few people who actually have a first degree in sociology. There are many distinguished sociologists who come from ‘somewhere else’. But, like at least one of those people, my own tale contains a little twist to add to the mix. When I arrived at Essex I was registered for a degree in biochemistry. This lasted less than a term and half as it finally dawned on me that science was not my future. I’m not sure who suggested I go and speak with Paul Thompson, but I think and hope it was the lovely, and sadly late, Pat Ready, who worked in the Students Union. Paul, then the head of department, was kind and asked why I would be interested in sociology (I had done it at A level). Once he felt I was genuine he was very helpful in easing the way for me to do so. Although I had not thought about leaving, that meeting became one of the main reasons I stayed at Essex rather than starting a Sociology degree elsewhere. In retrospect, I realise the department was then in some kind of transition. Stan Cohen was still nominally a member of staff but was away in Israel and left before I got to take his deviance course. Peter Townsend taught his social structure course but also left in that time. In those days Sociological Analysis I and II (Can they still be going? When were they replaced?) were the cornerstone of the Sociology degree I can still recall the tutorial like system with Joan Busfield and three other students as we ploughed through Giddens’ (which spell checkers read as giddiness as Tony Woodiwiss memorably pointed out) Capitalism and Modern Social Theory. I can also recall being taught by Ian Craib, Dennis Marsden, Nicky Hart, and Michael Harloe. And in Ken’s deviance course I first came across Michel Foucault, probably the first sign of the break with the classical tradition we had been learning. Years before the RAE/REF and ‘research intensive’ universities, Essex sociology was an intellectually vibrant place full of academics doing fascinating and cutting edge research. The deviance course was one of the reasons I opted to go on to LSE (rather than Kent where I was offered a studentship) and from there the tale changes from an accidental journey into one of Essex connections after Essex. At LSE I took a social theory course with Michael Mann. A few years later my second job, in drugs and criminological and social policy research, I worked with Nigel South (and I wish I could then have predicted where he would end up!). At that time, Nigel, another colleague and I were invited to provide some sessions for an MA Deviance, Stigma and Control course, my first reacquaintance with Essex and the initially odd experience of finding myself on the other side of the seminar room. And a decade or so later while I was on the BSA executive committee I found myself coming across Joan Busfield (who was the president of the BSA at the time). The early expansion of criminology provided opportunities for jobs in academia and I taught that for most of the 1990s, mainly at Roehampton. In that decade I even tried to get a job at Essex. While I was waiting in the common room, Tony Woodwisss (then head of department) charmingly introduced himself by asking if I remembered him (rather than the other way round as it should have been)! Although that was not be, it was a pleasure to meet the department again, including the redoubtable Mary Girling who had been helpful to me and so many other students in our time there. 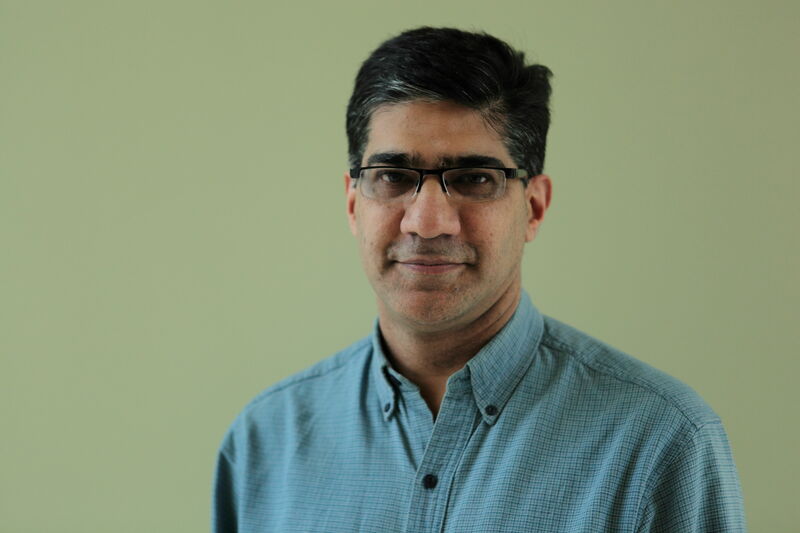 In recent years, research on policing and race and racism has led me to other Essex connections of people from subsequent decades such as Aisha Gill and Nasar Meer. Nowadays in the age of Facebook that is the main route to connections with my peer group and their varied careers – from youth work to law, academia, teaching and social work – and the many interesting other things they do outside of that. As the University approaches its 50th anniversary I know we all look back fondly on Essex as a key moment in our lives, the influence of which lives on.